Painting the Wildlife of Africa. Scroll down through the gallery of African Wildlife paintings. I hope you enjoy them. You can purchase originals or prints from the buttons to the right of the paintings. Detailed information about types of print can be found on the 'Fine Art Prints' page. I have spent a great deal of time in Africa researching my chosen subjects thoroughly. I like to go to very remote places and take time to sketch and to photograph the animals in their pristine environment. 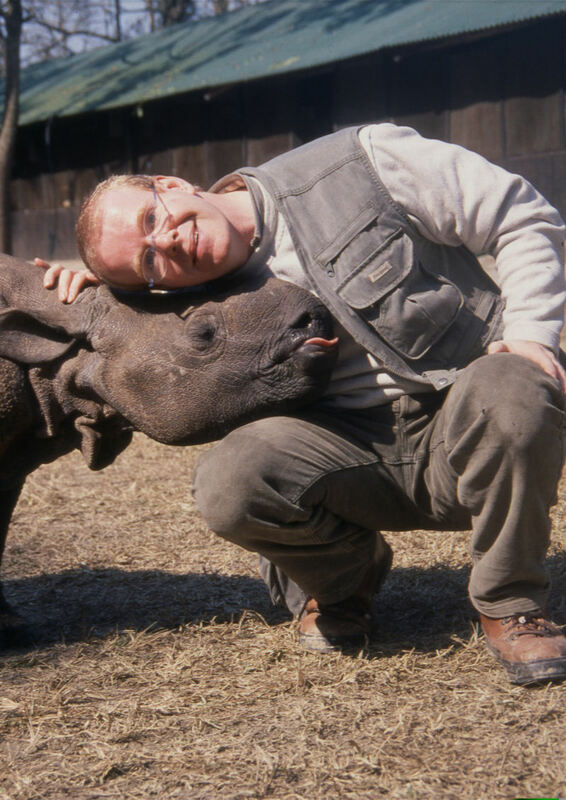 I'm pictured below at a rescue center for the endangered black rhino in Zimbabwe. The rhino population in Zimbabwe has been hit hard by poaching and places like this are a vital last stand for them. It's not just the usual big five safari's that I go on either. Everything I paint I like to have had direct experience of in the wild. 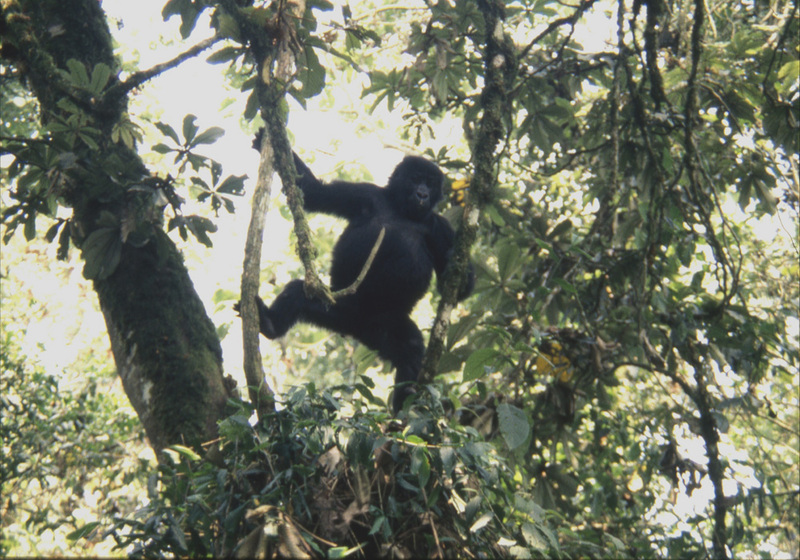 The pictures below show me in the magnificent jungles of Kahuzi Biega in Zaire where I was fortunate enough to spend time sitting with Eastern Lowland Gorillas. 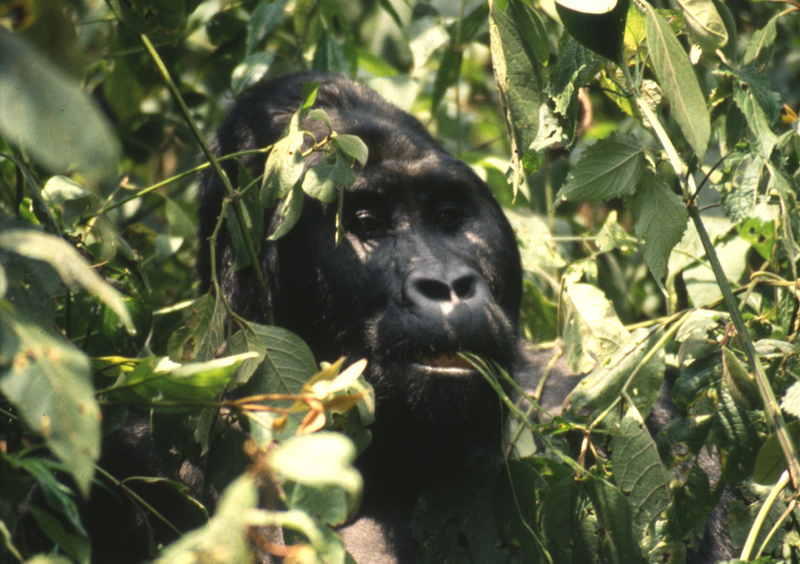 Eastern Lowland Gorilla. Kahuzi Biega, Zaire, Africa. Afternoons glow. Namibian Giraffe. Coloured Pencil. 18 x 24 inches. Original available. Namibian Elephant. Oil on linen. 12 x 10 inches. Pastel on Pastelmat50 x 70cm. Pastel painting of an African Elephant ( Kenya ) This painting was the subject of my first pastel Masterclass DVD tutorial which has sold all over the world. The original work is an important and collectable piece. Bull Elephant - Zimbabwe. Oil on canvas 30 x 40 inches. Original available.